Sowerby Bridge Wharf Ltd is a company owned by the Clay and Stevens families (see below). We have had businesses on the Wharf for many years. Together with Viv Jorissen and Malcolm Gardner, we restored Calder House, Wharf House and the Gatehouse, which we hold under a long lease from Canal & River Trust. Viv and Malcolm have retired from Sowerby Bridge Wharf Ltd, but we work very closely with them, and they still play a very active part in the life of the Wharf. 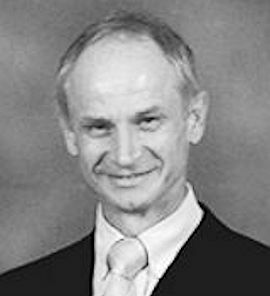 Through Gardner Jorissen Ltd they are landlords of No. 2 Warehouse. They are also leading lights in Fire & Water - an exciting community arts project at the other end of town. We're all here to serve you. Our two companies, have worked closely together for many years. We use the same pool of skilled, local craftsmen to look after our buildings. Without intrusiveness, we make sure we know, and provide, what our tenants need. 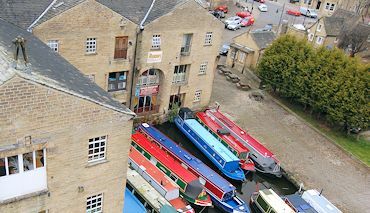 Why choose Sowerby Bridge Wharf? Ever-changing life on the water makes this a magical place to work. Right from your first viewing, we take trouble to understand your needs. All your dealings will be with real people. We do everything we can to keep your business running smoothly. We understand your needs and react quickly. We use local tradesmen, many of whom we've worked with for many years. There are no middle men, so we keep your service charge as low as we possibly can. We carried out imaginative high quality conversions, giving you a great place to work. Sowerby Bridge Wharf is a group of Georgian warehouses and other buildings surrounding a canal basin where two waterways meet. The Calder & Hebble Navigation comes from Wakefield, and the Rochdale Canal crosses the Pennines to Manchester. Together, they formed one of three routes across the Pennines. These waterways transformed the freight industry, because a horse could move so much more cargo in a boat than it could carry on its back or pull in a cart. The canals were built at the same time as an even larger network of new roads, so that carts could be used to distribute goods from inland ports like Sowerby Bridge. The Wharf was for 150 years a busy transfer point for goods to be carried by water all over the world. The canal age was short, seventy years or so. Then the railways brought their own revolution, and time passed by Sowerby Bridge Wharf, till in the 1970s it began to be revived. With huge investment from public and private sources, the buildings were repaired and adapted for new uses, so that today more people work at the Wharf than did when the canal was in its first heyday. Now you can join our community by renting one of the units at the Wharf. 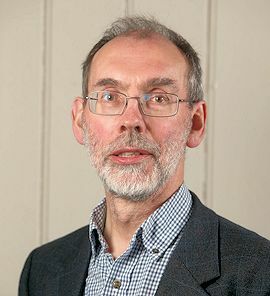 Ian co-founded The Moorings in 1978. From this grew a beer distribution business, James Clay, now located in Elland, as a leading importer and distributor of craft beers and speciality beers all over the UK. Susan runs the Shire Cruisers booking office and looks after their customers. 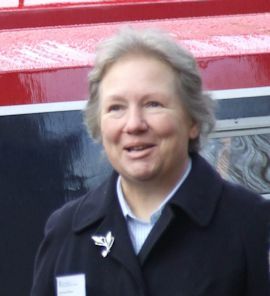 Susan was an active player in the redevelopment of the Wharf. Nigel and Susan have built Shire Cruisers into Yorkshire's most successful holiday hire fleet. They also operate the boat moorings at the Wharf, and a full service boatyard. Nigel worked with the other tenants to enable the successful regeneration of the Wharf.